See early tampoms Dale, Wix and B-ettes and a bunch of other earlier ones. 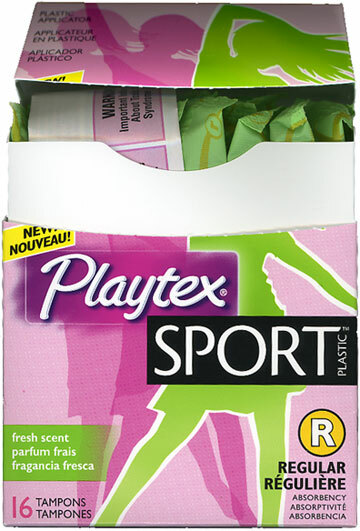 Playtex Sport menstrual tampon, 2006 (? ), U.S.A. The concern with toxic shock dates to the Rely tampon (and others) crisis of 1980; companies sometime afterward agreed on absorbency standards and warned users to restrict the time they wore the tampons.